We’ve had about 35 Renewal by Andersen windows installed now and have always been extremely satisfied with the finished product! Thanks! Your installation team was outstanding. Very friendly and very helpful. Renewal by Andersen® of Denver/ Colorado Springs awning windows offer dramatic design options to complement casement, picture, and double hung windows. They are hinged at the top, open from the bottom, easy to reach, and with a simple turn of the crank provide full or partial ventilation. They’re designed to allow fresh air to flow, even during a Colorado rainstorm. Awning windows are versatile. They’re the perfect solution high on a wall when privacy is of concern or when wall space is in short supply for furniture or cabinetry. Awning windows can be positioned above or below other windows or they can occupy an expanse all their own. They’re a helpful solution in hard to reach places and they look great in a vertical stack, in a horizontal line, or in a little less predictable configuration. 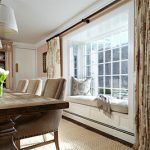 Awning windows are generally considered contemporary in design but can be easily traditionalized with the right window grille and hardware accents. For safety reasons they should not be used in areas where an open sash could obstruct a walkway. To own the very best in replacement windows call our toll free number 866-987-3639. You can request a free window or door consultation and receive additional information about our products. Call today for Denver area replacement windows and doors from a company you can trust!